Video games are everywhere. With kids starting to play simple iPhone games as young as two years old, video game addiction has become a problem. But video games can affect our brains in other surprising ways. According to the old saying, “the family that slays together stays together.” Nothing improves sibling relationships more than brutally slaughtering each other in Call of Duty. And now, science has proven it. 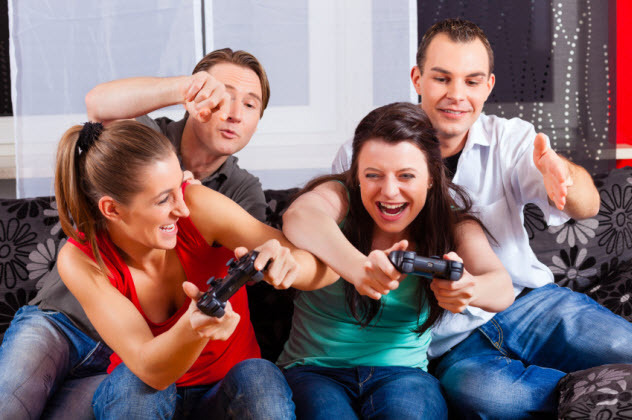 In 2015, Brigham Young University conducted a study to determine how playing video games together affected sibling relationships. They had brothers and sisters report how often they played video games, how often they played with their siblings, how often they had conflict with their siblings, and how they would rate their sibling relationships. Then the researchers asked the study participants to name the top three games that they liked to play with their siblings. The results surprised the researchers. 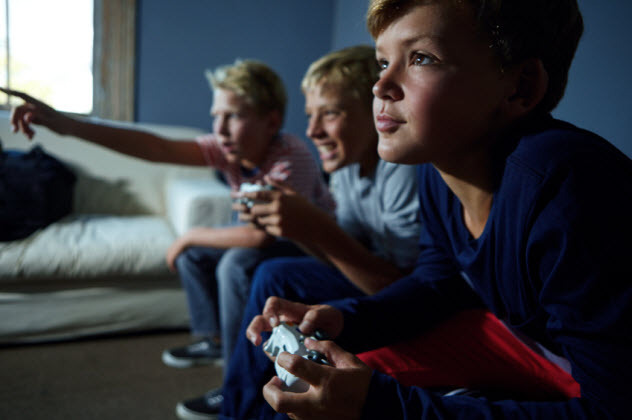 Siblings who played violent video games together had less sibling conflict. This goes against most video game research that says violent video games increase aggression. But one has to consider the context. Most of the time, the siblings are defending each other against violent opponents. It’s kind of hard to stay mad at your little brother when you remember that he saved your life in Halo. 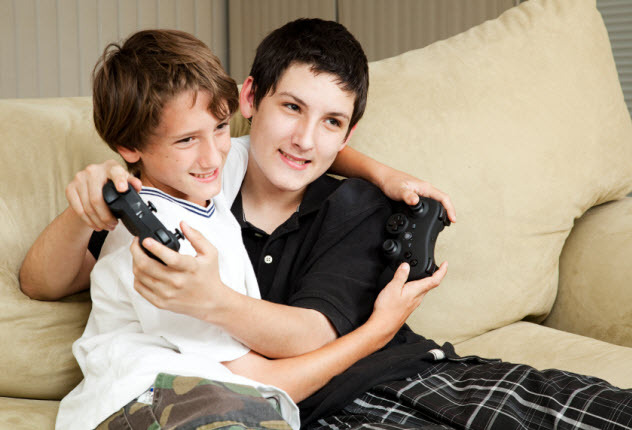 Researchers also found that video games increased affection between siblings due to shared experiences. “By immersing themselves in the video game world, siblings can share experiences, play together, and strengthen sibling bonds,” explained researcher Sarah Coyne. The researchers theorize that playing video games together may be a new way to strengthen sibling relationships like never before. The bystander effect is one of the darkest things that humans naturally do. 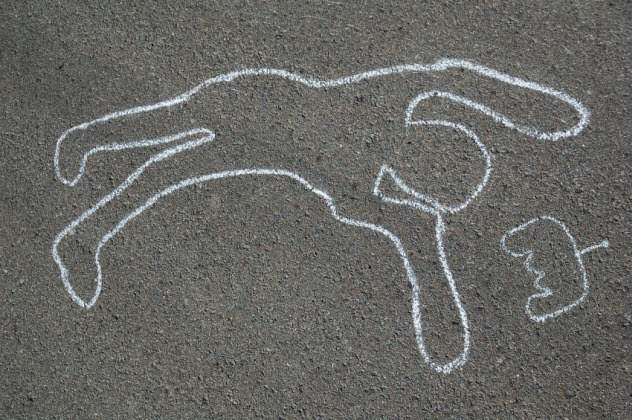 Starting with the murder of Kitty Genovese, psychologists discovered that if there are more people in a given area, it becomes less likely that one of them will help a person in trouble. Most people assume that someone else nearby will take care of the problem. A study by the University of Innsbruck found that the bystander effect also happens in video games and can linger after the game is over. When there are more non-playable characters (NPCs), players are less likely to help other NPCs. Research has proven that even if the presence of other people is imaginary, people are still less likely to help out. The participants in the study were asked to play Counter-Strike: Condition Zero in two groups: One would play as a member of a police team against a terrorist team, and one would play as a single police officer trying to stop a terrorist. After the game was over, the participants were asked to assist a student trying to complete his own project. They were asked how much time they were willing to spend helping the student. Participants who were solo game players were willing to devote more time to helping the student than those who played on teams. The imaginary team still existed in players’ minds despite the fact that the game had ended. Morality video games are a relatively new idea. In the game, you can choose whether to be good or evil, and your choices affect the end of the game. As of early 2016, games like BioShock and Undertale have some of the best reviews and are surging in popularity. The idea that the entire game’s story will change with every decision is appealing to players. But how will it affect behavior? As always, science has the answer. A study led by the University of Buffalo examined the effects of being good or bad in a video game. They asked participants to play a first-person shooter game as either a police officer or a terrorist. The game informed the player of the motivations and goals of the characters. After the game, the participants completed a Moral Foundations Questionnaire and were asked to rate their guilt and shame about what they had done. Participants who played the terrorist rated higher on guilt and shame. This surprised the researchers because they expected players to become desensitized to violence and moral violations. Yet players who experienced evil intentions as a video game character actually became more sensitive to the evil in the world. But it only happened if they originally felt guilt. If they didn’t initially feel guilt for their actions, that’s a worrisome sign. Video games open up new worlds and let us experience things that would be unthinkable in real life. In video games, we save worlds, play the hero, and go to fantasy worlds that we never thought possible. We can form harems, save or topple nations, and discover truths about the world and ourselves. We can even die and come back to life—repeatedly. In some games, characters’ deaths are essential to the story. The theory behind the study was that playing violent video games desensitizes players to death and increases their capability to commit suicide as a result. Participants were asked how often they played violent video games and the average rating for the games they played (E for everyone, ET for everyone 10 and up, T for teen, M for mature). Then they filled out psychometric questionnaires about fearlessness of death and pain tolerance. Surprisingly, the frequency of playing violent video games had little effect on the fearlessness of death. 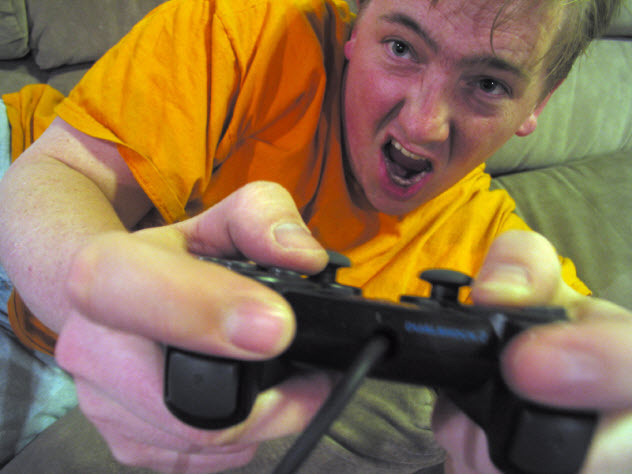 Once a participant had completed a violent video game, the effects stayed with them. People who played more violent video games had less fear of death but not an increase in pain tolerance. Keep in mind that this study isn’t saying that people who play violent video games will commit suicide. It simply means that they are more comfortable with the idea of death and dying than others. There has been a media storm that links violence in video games to mass shootings. Although studies repeatedly show that video games increase aggression, it again depends on the context: If you are playing a hero, you are likely less aggressive than someone who plays a villain. Research led by the National Science Foundation found that players of violent video games in a prosocial context (such as helping a fellow character) were less aggressive than players of violent video games in a morally ambiguous context. Participants played one of three video games: a zombie game in which the character protected a fellow character as they collected supplies, a zombie game in which the character was hunting zombies for sport, and a puzzle game that was like Tetris. The computer was programmed to win 12 times and let the participants win 13 times. Although both were aggressive, participants playing the prosocial zombie game were much more lenient than the morally ambiguous players when deciding the intensity of the white noise. The most benevolent players were the puzzle game participants. It’s no surprise that video game therapy is now considered a legitimate form of treatment. After all, equine therapy has been an effective form of treatment for a long time. If animals can help people overcome mental issues, why not video games? Researchers at the Eating Disorders Unit of Bellvitge Hospital in Barcelona, Spain, wondered if video game therapy would help girls to overcome eating disorders. They particularly focused on bulimia nervosa, an eating disorder in which patients binge (overeat) and then immediately purge (vomit the contents of their stomach). Surprisingly, video game therapy does help in this context. PlayMancer is a new platform that uses a biofeedback machine to play video games. The game objectives are designed to help players control impulses and learn to relax in stressful situations. Based on results from the biofeedback machine, the games become more difficult as the players become more nervous and stressed. In some games, the character won’t move until the player’s breathing becomes slow and steady, they make proper facial expressions, or their heartbeat slows down. This study is being used as a pioneer to explore more effects of video game therapy. Everyone has a favorite character, whether it is from a book, movie, or video game. People write fan fiction, draw fan art, and even dress up as their favorite characters. 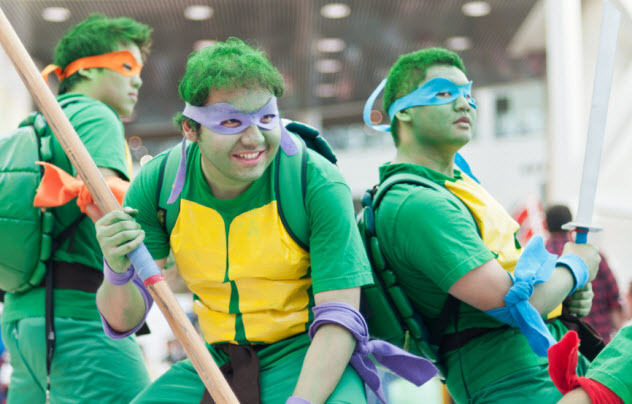 Thousands of people cosplay as their favorite characters at conventions around the world. Heck, professional cosplaying is now a legitimate way to make a living. But what are the effects for growing attached to someone who isn’t even real? Then they asked participants to rate how much they enjoyed video games with good characters, how often they played video games, and how high their levels of self-esteem were. Participants with higher character attachment often had lower self-esteem, even if they enjoyed the game more and played it more often. After all, it would be extremely disappointing to find the perfect girl only to realize that she wasn’t real. This doesn’t mean that enjoying characters’ stories or writing fan fiction about them is a bad thing, just that obsession is undesirable and could have negative effects. Many people have become attached to certain video games, and it expresses itself in all sorts of crazy ways—from buying extensive video game collections to killing other people in the name of video game characters. This isn’t shocking because people were obsessed with book and movie characters before video games even existed. But it may be a surprise to learn that video games elicit a special type of reaction from players. An article by the University of Munster addresses this phenomenon of “eudaimonic reactions,” which are meaningful reactions that are not hedonic. Those are emotions that don’t directly tie into enjoyment or pleasure. This includes how we reflect the story, how playing the game satisfies our need to be competent and enhances our cognitive function during the game, and how interacting with other characters or players satisfies some of our need to socialize. The article discusses how the use of narrative, context, and mechanics introduces new layers of interaction and more layers of response. “Although each of the dimensions discussed above makes unique contributions to the gaming experience, it is when all three factors—narrative, mechanics, and context—interact in concert that games may be able to create the most powerful experiences,” said author Malte Elson. Video games unleash a totally new experience for people. They play the characters, they witness the story, and they interact with the game world. Half the fun of playing video games is personalizing and customizing an avatar. 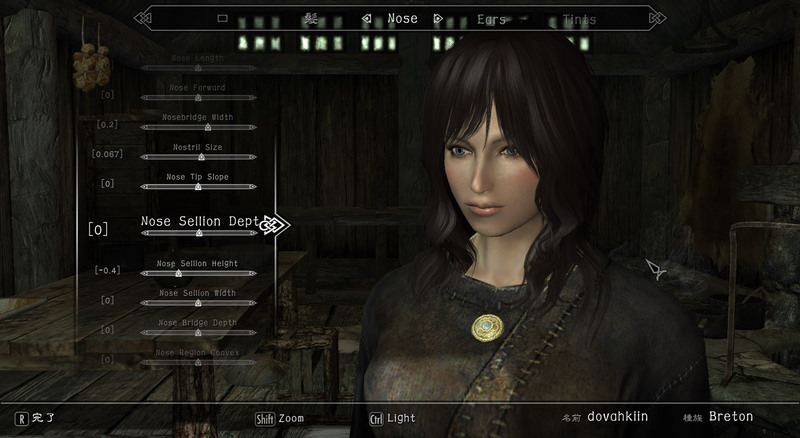 Games like Skyrim and Pokemon X rely on players customizing the characters to look like themselves to make the game more lifelike and personal. But what does this do when we play violent video games? A study by the University of Sussex and the University of Innsbruck found that personalizing an avatar increased a person’s level of aggression when playing violent video games. Participants were divided into four group: those who personalized an avatar in a violent video game, those who personalized an avatar in a nonviolent video game, those who played the violent video game with a generic avatar, and those who played a nonviolent video game with a generic avatar. The participants were then asked to administer the sauce because the taste tester had to be blind for the study. The researchers left the room while the participants put any amount of extremely hot chili sauce into a bowl. After the participants left, the amount of sauce was weighed. Even though they were told that the participant didn’t like hot chili sauce, the people who poured the most sauce into the bowl were those who played the violent video game with personalized avatars. 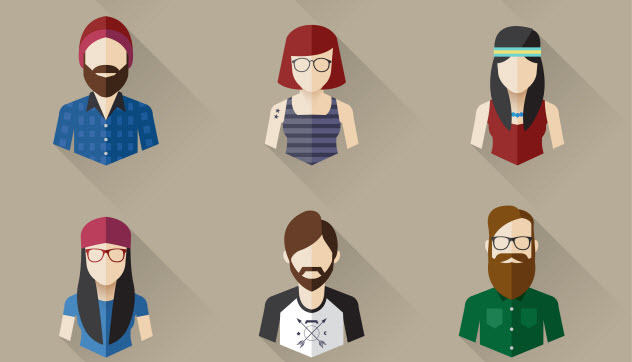 Researchers noted that it didn’t matter if they made the character look like themselves. As long as they took the time to customize the avatar, aggression increased. It’s common knowledge that the faster you try to finish something, the less accurate or correct it is. A hastily written paper isn’t nearly as good as one written carefully over a couple of days. Food cooked quickly usually isn’t as good as food cooked correctly. Maybe you’ve had that one friend who says “Think fast!” and then throws something at you. Usually, you’ll miss it because you didn’t have enough time to figure out where to place your hands to catch it. If you usually catch it, congratulations. That’s impressive. An article by the University of Rochester discussed the relationship between increased motion discrimination, task switching, and visual search abilities in those who played video games and those who didn’t. They found that those who played video games—especially games like Call of Duty or Halo that required the player to think quickly and shoot accurately—had increased their ability to sense motion, keep track of people or items in their peripheral vision, and switch from one task to another quickly. The article concluded by suggesting that video game training may be an effective form of reducing reaction time and increasing high cognitive functions. Roxanne is currently studying psychology and Shakespeare at Southern Utah University. She also plays way too many video games. The perfect game would have psychology and Shakespeare themes, but sadly, that hasn’t happened yet.